Open a new tab. Copy and paste this URL to watch a great video about silk worms and their cocoons. 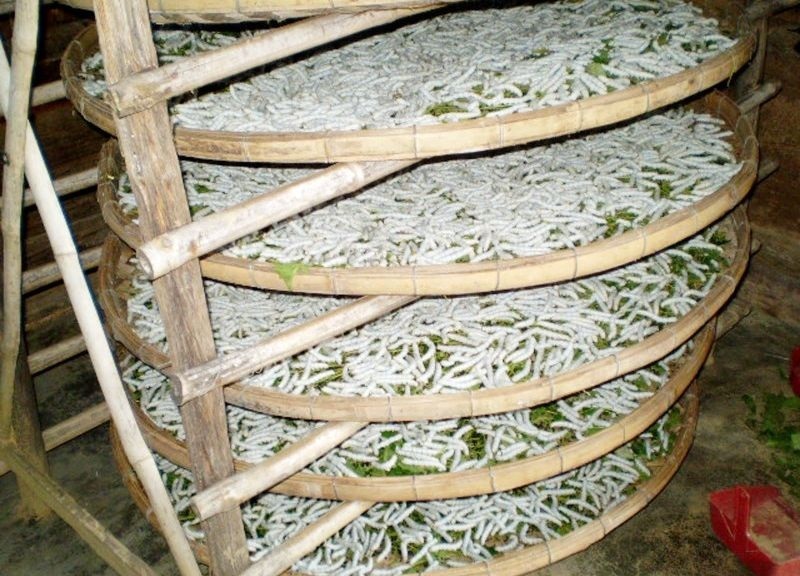 The camera crew used time lapse photography to film the silk worms. Over 30 hours of video were compressed into 4 minutes. 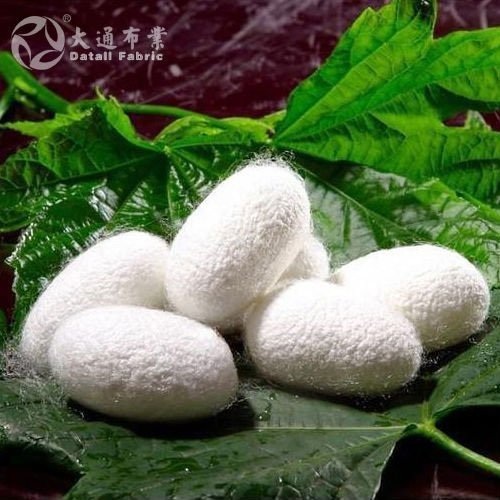 This video shows how works get the silk from the cocoons. These are silk worms eating mulberry leaves. 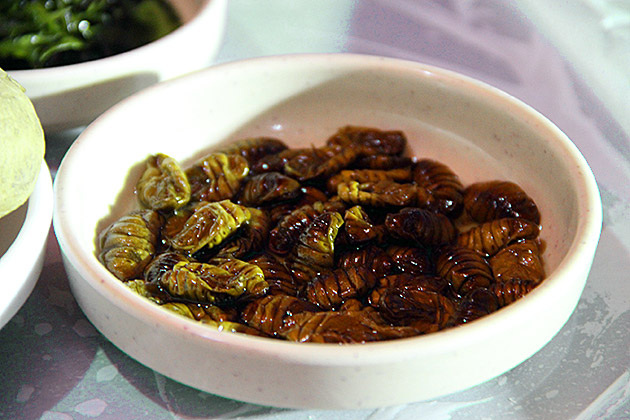 Many people eat silk worm larvae.